Vienna – our hometown for over 30 years and still our favourite city. It’s no surprise that we can only warmly recommend you to come and explore the charming Vienna for yourself. If you’re thinking about it… just do it! You might like it so much that you’ll want to stay longer! Are you looking for the best travel tips to help plan for your Vienna trip? Then you’ve come to the right place! 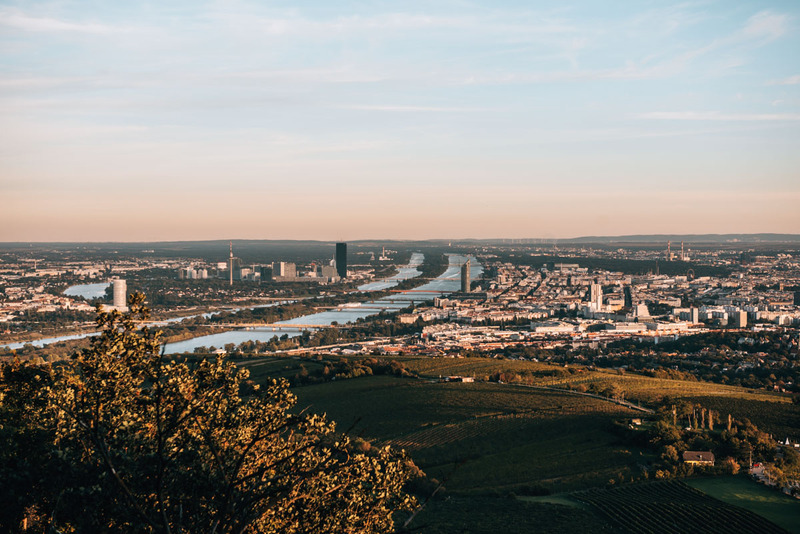 In this blog article, we’ll tell you everything you need to know so that you can prepare for and make the most of your trip to Vienna. In our eyes, no matter how much we travel – no city in the world is as liveable or as beautiful as Vienna. This is however, also backed up by the many rankings and ‘awards’ Vienna has received by independent sources — that is, if you believe in these rankings. In fact, Vienna has been voted the “Most Liveable City in the World” nine consecutive years in a row. Not going to lie, this makes us rather proud of our charming and timeless yet modern Vienna. Vienna is the definition of an imperial, nostalgic charm in perfection. 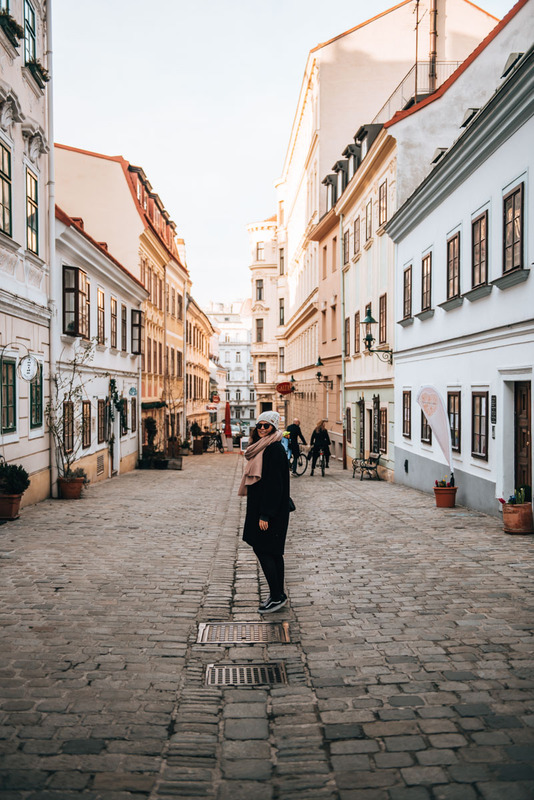 We promise that you’ll instantly fall in love with Vienna, simply just walking around the cobbled street alleyways of the historic Old Town and admiring the timeless beauty of the architectural surrounds. Vienna is full of these imperial-style buildings, some of which are more beautiful than others. Vienna is also a little hipster paradise, a bit like Berlin but in its infancy stage. However, it’s definitely the direction Vienna is trying to take – the city is full of trendy bars and markets. It is precisely this contrast that we love so much about “our” Vienna. 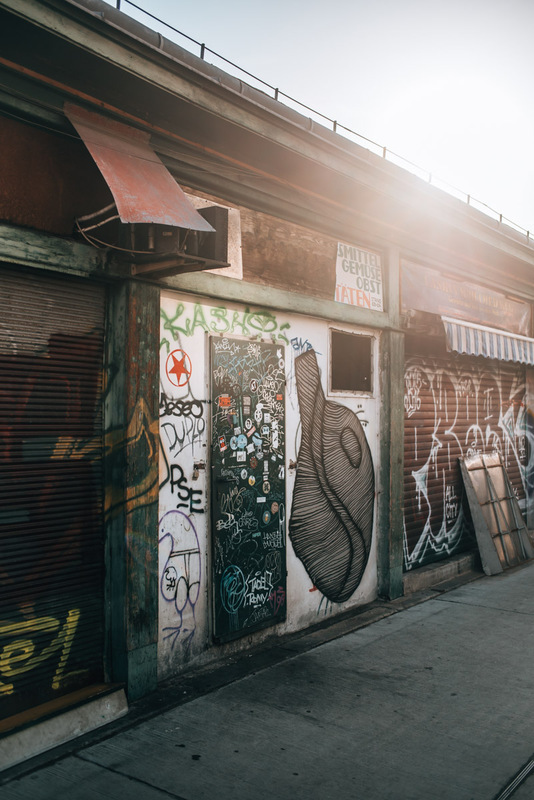 One day, we could be attending a ballet in the traditional, very formal Staatsoper (Vienna Opera House) – and the next day, we could be toasting in front of graffiti walls on the Danube Canal with toes in the sand. Incidentally, the Viennese have the blackest humour we know. But we also like hugs, so expect to be greeted with one. Lastly, the Viennese can hardly have a conversation without making some sarcastic remark. Vienna is definitely the most charming in spring and summer. It’s also when the Schanigärten are open, which are open-air gardens terraces usually as an extension to cafes and restaurants. There are countless open-air events and in general, the Viennese are simply in a better mood during the warmer months. In midsummer (July and August), it can sometimes get very hot in Vienna. Quite often, the temperature can rise upwards towards 30 degrees Celsius, several days in a row. 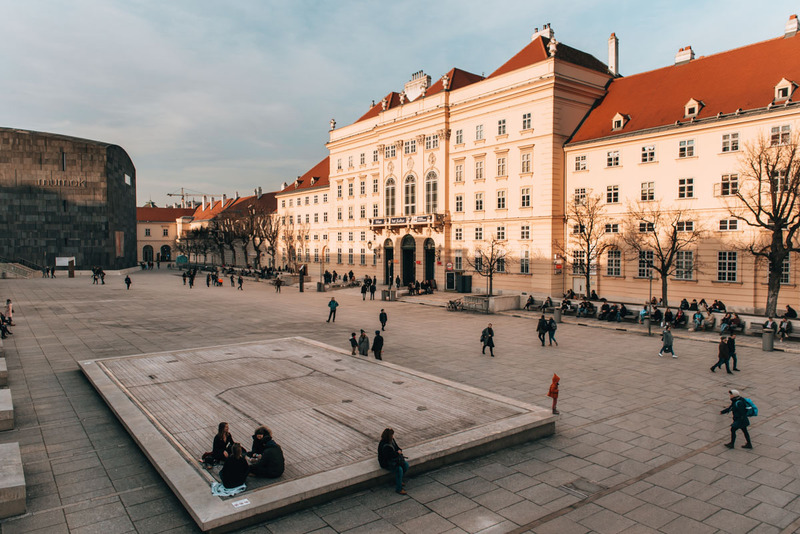 But usually during these months, there are a few special events awaiting you, such as the famous open-air film festival, which takes place in the Rathausplatz (Town Hall Square). Thanks to free admission, you can watch music films on a giant screen every day and the food trucks are never too far away if you get hungry. We love to spend hot summer days in Vienna on the Alte Donau (Old Danube). You can rent out pedal boats here, jump into the water or just enjoy the sunset in one of the waterfront restaurants. In the first half of the fall (September and beginning of October), the parks of Vienna show their beautiful, colourful side. In general, the weather is stable with rather low rainfall until about mid-October. 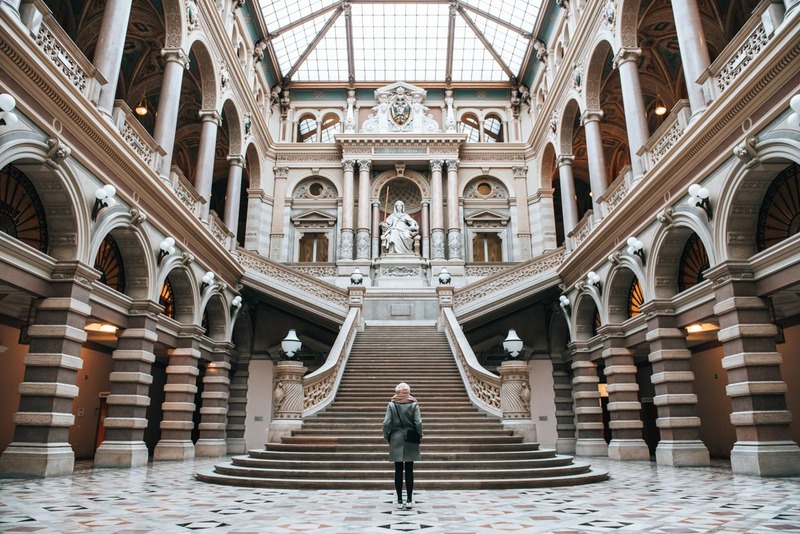 November, however, is one of those travel months we personally like to avoid: Often, the weather in Vienna is very grey and not at all inviting. In the lead-up to Christmas, tourism in Vienna experiences one of its biggest peaks of the year. 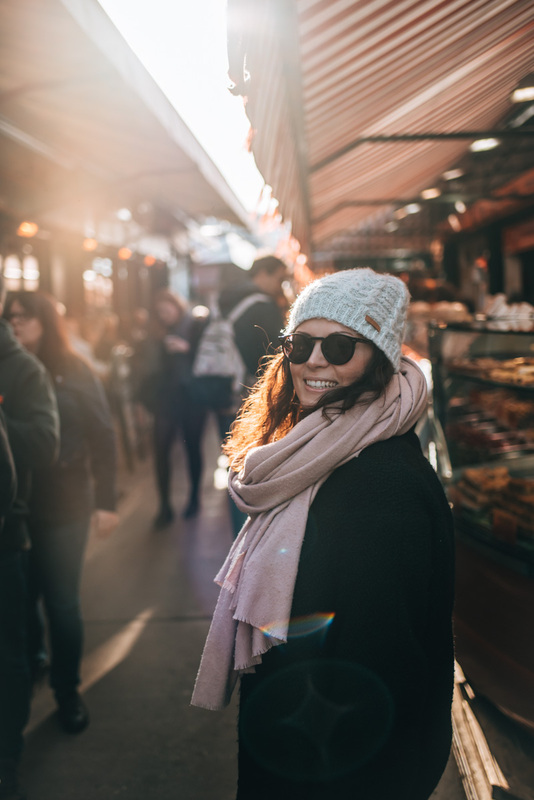 We are not surprised, because with the many Christkindl markets, Vienna is an attractive destination for a city break during the Advent season – as long as you are prepared for cold moody weather, of course. Following the Holiday Season, January and February are unfortunately the months we would recommend least for a trip to Vienna. There is not much going on in the city and it is often freezing cold. How much time should I plan for Vienna? 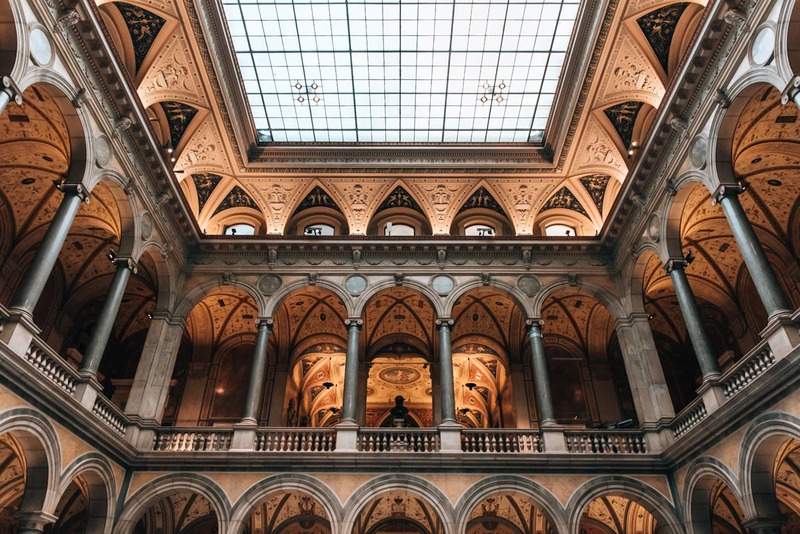 Good news for those who don’t have a lot of time: the main highlights of Vienna can in fact, be explored in just one weekend. You’ll find that the city centre itself is relatively small in terms of area, which makes it relatively easy and quick to explore on foot. 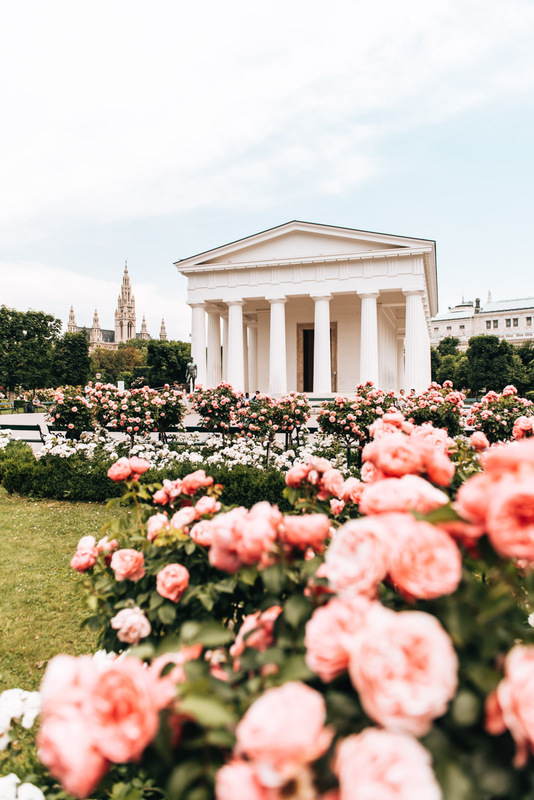 However, in our opinion, we would recommend you to spend a few more days in Vienna if possible, just to get a better feel for the Viennese culture and local life here. We would say, at least four to five nights in Vienna is the optimum length of stay. There is honestly so, so much to discover in this city. We promise that you won’t regret it. At least 2 nights (or a weekend), if you only have time or want to see the most important highlights of Vienna. 4-5 days, if you want to take it easy and explore a few undiscovered corners. 1 week if you really want to absorb the Viennese lifestyle. Most of the tourist highlights in Vienna are located in the 1st district, which is considered the heart of Vienna. For example, St. Stephen’s Cathedral (the most important Cathedral) towers high into the sky. From the Cathedral, if you go through the Graben (Vienna’s luxury shopping street), it will lead you to the Hofburg Palace and Heldenplatz. The latter is located on Vienna’s Ringstraße – it’s a main street of the city shaped like a ring loop and encompasses the 1st district, where many of the main and important buildings of Vienna are located. 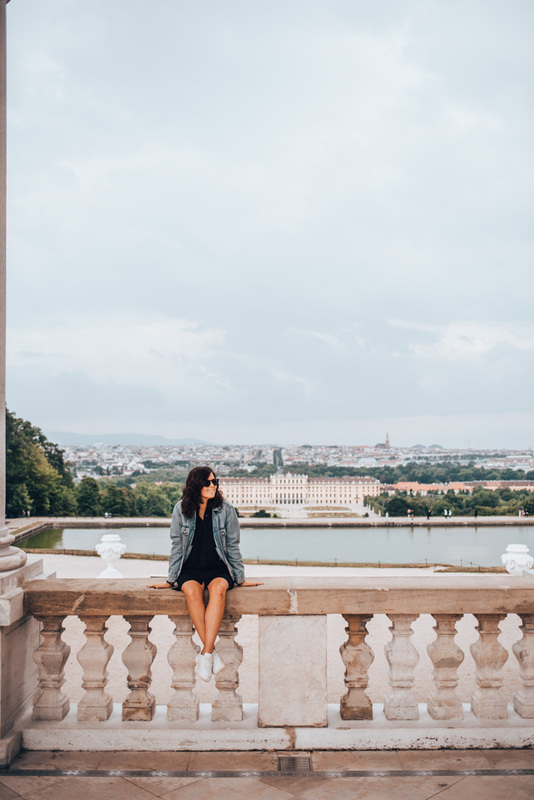 However, there are two places outside the 1st district that you should not miss: One is the imperial Schönbrunn Palace and the stunning view over Vienna from the Gloriette in the Palace Gardens. And the other, is the Ferris Wheel of Vienna, called “Wiener Riesenrad” – and is considered one of the landmarks of the city. If you are interested in knowing more about the various attractions and highlights in Vienna, then you will find our detailed blog article about the main sights of Vienna very worthwhile reading. Apart from the main tourist attractions, there are so many more places in Vienna that we can recommend to you. The Naschmarkt is the most famous open-air market in Vienna and is one we highly recommend you to visit. With over 100 market stalls you can buy fruits, vegetables, fish, meat, cheese and so much more. Even better: there are also some great restaurants located in and around Naschmarkt. We often find ourselves here at least once a week either for breakfast, lunch or dinner. Our favourites are: Neni, Tewa, and Orient & Occident. Yes, the Naschmarkt is touristy. And no, usually locals don’t do their grocery shopping here as there are cheaper alternatives in Vienna. But we still think that a walk through Naschmarkt while enjoying a nice drink or meal is certainly part of an authentic Vienna experience. On Saturdays, the Naschmarkt is especially full due to the weekly Saturday morning flea market that takes place by the Naschmarkt. Note: On Sundays and Public Holiday, all the market stalls, as well as restaurants and cafes – are closed. Our tip: Opposite the Naschmarkt you will find two of the most beautiful Art-Nouveau House Fronts in all of Vienna. 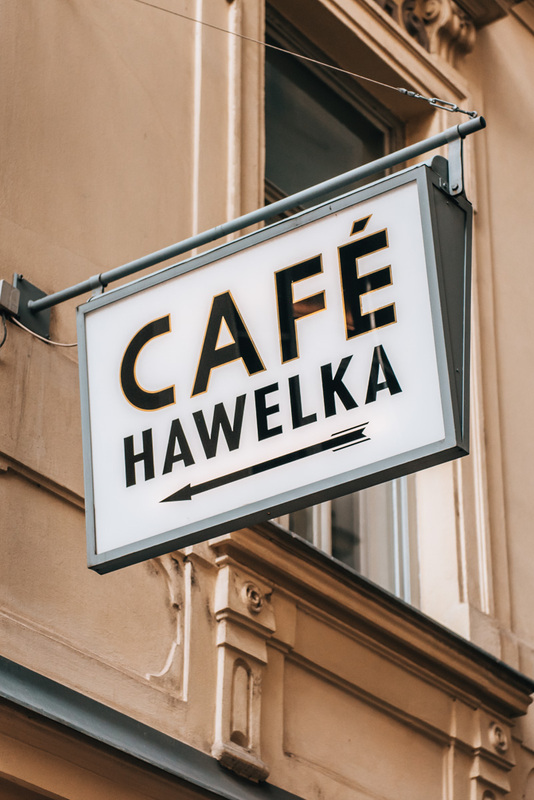 At the address Linke Wienzeile 40, you will find the so-called Majolikahaus. The corner house next to it is also very eye-catching with its golden ornaments. Getting to the Naschmarkt: Take the underground train (U4 line) to Kettenbrückengasse, or alternatively to Karlsplatz (via U1, U2, U4). The Donaukanal is one of those places that has undergone massive changes and developments over the past 10 years. 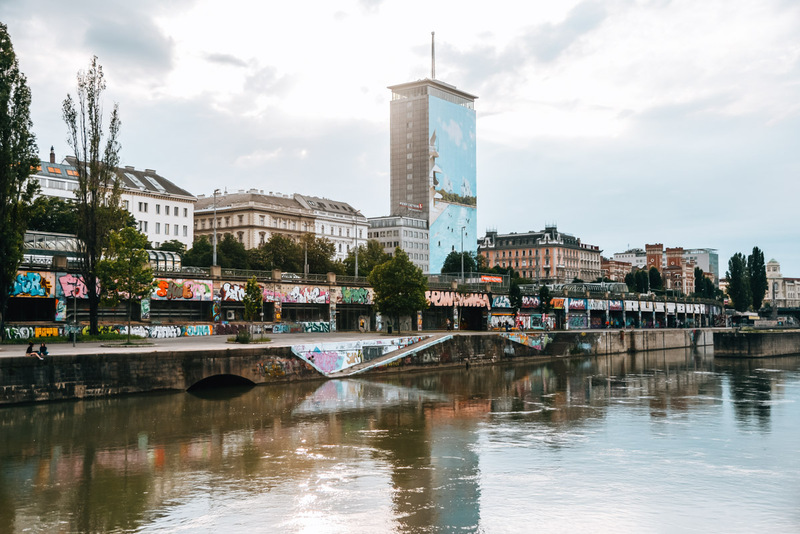 There used to be nothing here – now the Donaukanal is one of Vienna’s trendiest locations. The Donaukanal is a small branch off the main Danube river, which flows through Vienna’s urban city. The banks of the Donaukanal has now become one of the most popular meeting places during the warm summer months. There there are several restaurants here – some even have piles of sand. 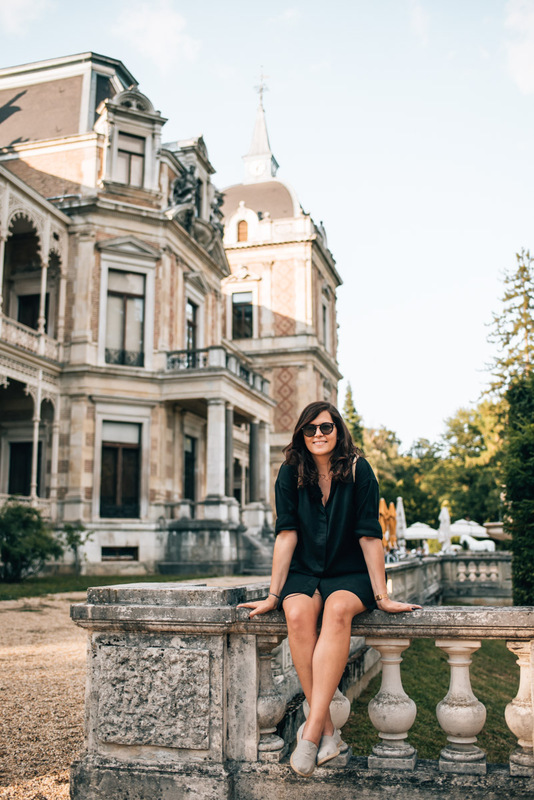 Voilà: island feelings in the middle of Vienna! The best known is probably the Tel Aviv Beach Bar (which belongs to the above-mentioned Neni). Unfortunately, the Donaukanal is worth a visit only in the warm season. In winter you can marvel at the street art – but sadly, all the restaurants will be closed. 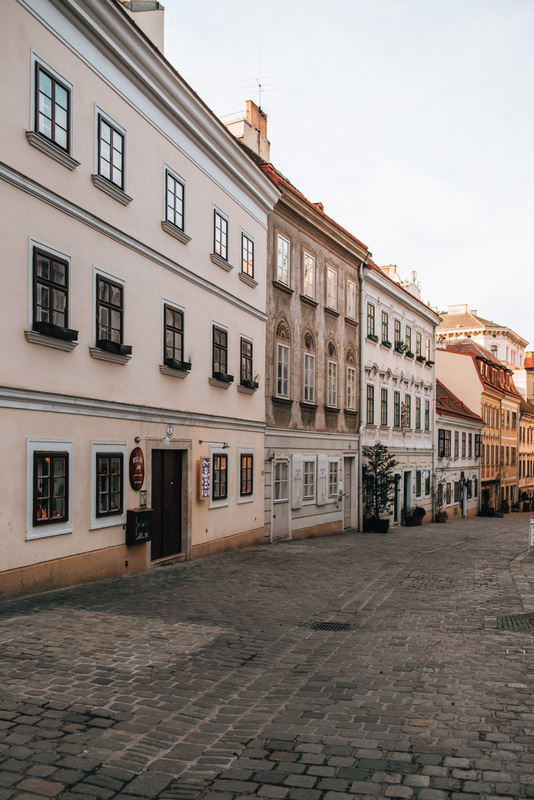 With its narrow cobblestone streets, the Spittelberg feels almost like a small village in the middle of the city. The Spittelberg is one of the most popular residential areas of Vienna – and we can totally see why. These streets are just so charming. You really don’t need much time to explore Spittelberg, so it’s probably best to start directly in Spittelberggasse. (This is the street you see in our photos.) If you are hungry, then stop by the TIAN Bistro. This highly recommended vegetarian bistro actually belongs to the classy restaurant TIAN, but is much cheaper. An institution on the Spittelberg is the Amerlingbeisl, which is located in a very pretty courtyard. In the lead-up to Christmas, a very popular and well-visited Christmas Market can be found at Spittelberg. As the name implies, the Museums Quartier houses several museums, including the Leopold Museum and the Mumok (Museum of Modern Art). However, the Museums Quartier has been a popular meeting place for many years. The reason: Right in the centre between all the museums, you will find a small urban city oasis during the summer months. Relax and make yourself comfortable on the colourful outdoor seatings, which are called Enzis. (At the time of our photo, the outdoor season had not yet started, so the Enzis are missing.) If you get hungry: The Museums Quartier is home to several restaurants and cafes. In summer, the Alte Donau is a local favourite amongst the Viennese. The Old Danube/Alte Donau is a former branch of the Danube river, situated in the urban city. Since it is no longer directly connected to the Danube, the water is very still and very calm. The name of the Lainzer Tiergarten is a bit ambiguous, because it’s not exactly your classic zoo (which is a good thing). Rather, it’s a huge nature reserve on the outskirts of the city. Here you can do many hikes, some of which are several hours long (for example: to the Wienerblick Lookout), while others are more of a leisurely stroll, such as the one to the Hermesvilla. The Hermesvilla is a former hunting lodge from imperial times. The quickest way to get there, is from the entrance Lainzer Tor. From there, it is about 15 minutes by foot. 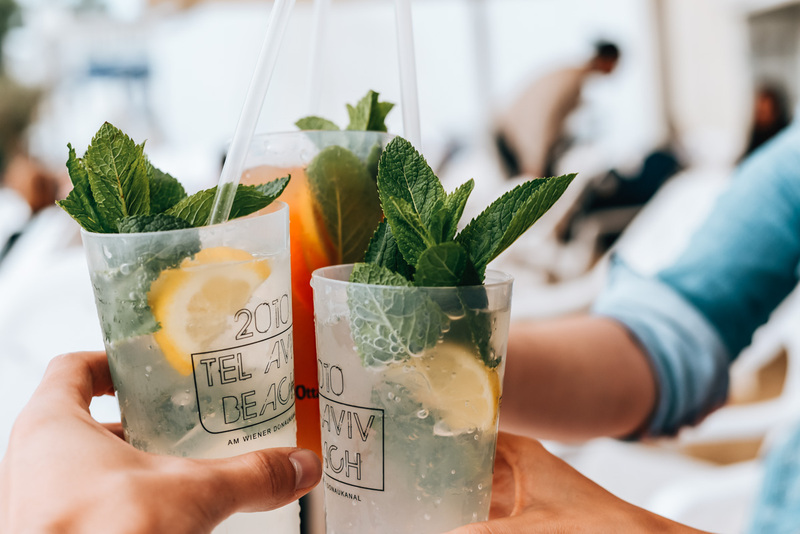 In the Hermesvilla, there is also a restaurant where you can treat yourself to some refreshments. 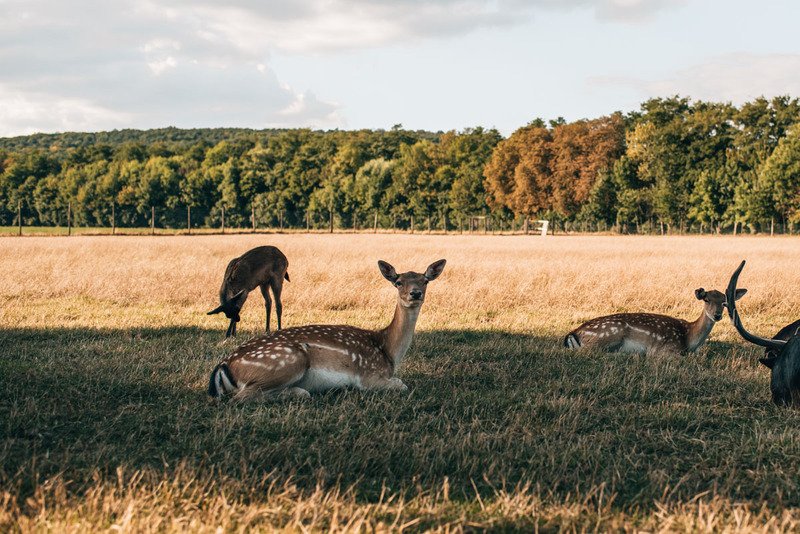 If you go further into the Lainzer Tiergarten, you enter an area where wild animals roam free. The chance to see boars or deer is actually not as rare as you would expect. We can highly recommend a visit, especially if you need a change from the city life and find yourself drawn to the green. The opening hours of the Lainzer Tiergarten varies according to season. Admission is free. Getting to the Lainzer Tiergarten: Hop off at U-Bahn Station Hietzing (U4), then take the Tram 60 to Hermesstraße, from there take the Bus 55A to Lainzer Tor. When you look at the restaurant selection, you can tell pretty quickly that Vienna is a hub of many different cultures. Of course, there are many quaint Viennese inns (the so-called “Beisln”). At the same time, however, you will find almost an infinite selection of restaurants with international or fusion cuisine in Vienna. Where to eat in Vienna? We personally love to eat-out near the Yppenplatz or Naschmarkt areas because there is a great selection of restaurants with fair prices. At Yppenplatz, we can recommend the Pizzeria Sofi. In summer, Ando is extremely popular. At Naschmarkt, Neni is clearly the most popular place among young people. We also like to go to Tewa quite often. Also very well visited among young people are the two restaurants Ulrich and Erich, which actually belong together. You can go there for breakfast as well as for lunch or dinner. Viennese locals rarely tend to eat-out in the 1st district, as it’s very touristic and expensive. But one of the few exceptions is the Miznon. This little Israeli fast food shop is always hopelessly overcrowded, but the atmosphere is really cool and the food just superb. Wiener Schnitzel: The classic. No meat eater leaves Vienna without eating a schnitzel. The original version is actually made of veal. The best Wiener schnitzel is supposedly found at Figlmüller. Apple or Topfenstrudel: Our personal favourite. There’s nothing like a fresh, warm Topfenstrudel (= quark strudel often served with apple sauce on the side). Kaiserschmarrn: One of the best-known desserts, also sometimes eaten as a main course (for example in ski huts). In addition there’s Zwetschgenröster (stewed plums) or Apfelmus (apple sauce). Sausages in Vienna: You can find them on many different corners of the city streets and at basically any time of the day. For example: Käsekrainer and Debreziner are just a couple amongst many. The Bitzinger Würstelstand in front of the Albertina is one of the best. Mannerschnitten: Sounds funny, but we simply couldn’t leave out Mannerschnitten from our list. In our opinion, this is where the best sweets are found – and vegan too. You can buy them in any supermarket or in the Manner-Flagship store near Stephansdom. No city break to Vienna is complete without a visit to a classic Viennese Coffeehouse. 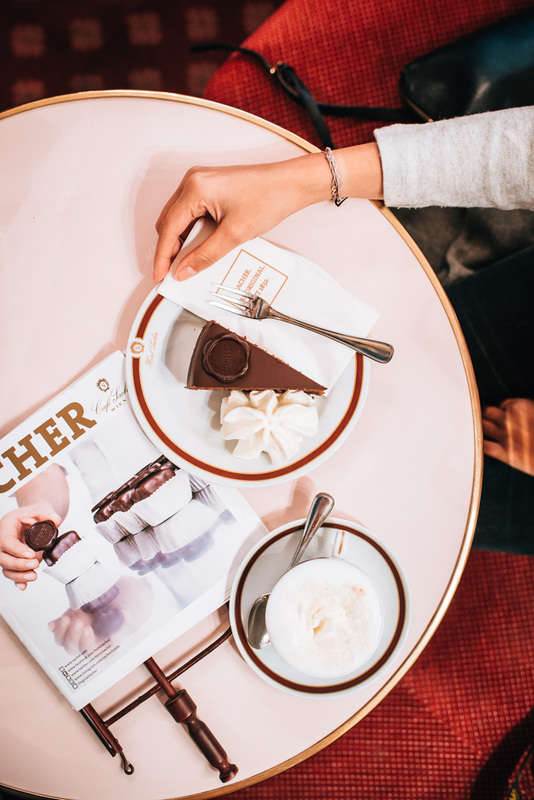 Viennese Coffeehouses have their own special charm and is so much a part of the local culture that we would say it’s a lifestyle. The atmosphere can often be a bit “grubby”, and the waiters often come across as “grumpy”. But still, you don’t want to leave the cozy coffeehouses. Vienna is an ice-cream city, and supposedly the largest concentration of ice-cream in all of Europe. In Vienna, we call them ‘Eissalon’, which literally translates to ice cream parlour. The selection of ice cream parlours is ever growing year after year. But one of our all-time favourites is still the Eis-Greissler. Here you will find seasonal and regional ice cream as well as a large selection of vegan ice creams. They even offer some unusual ice cream flavours, such as Pumpkin Seed Oil. 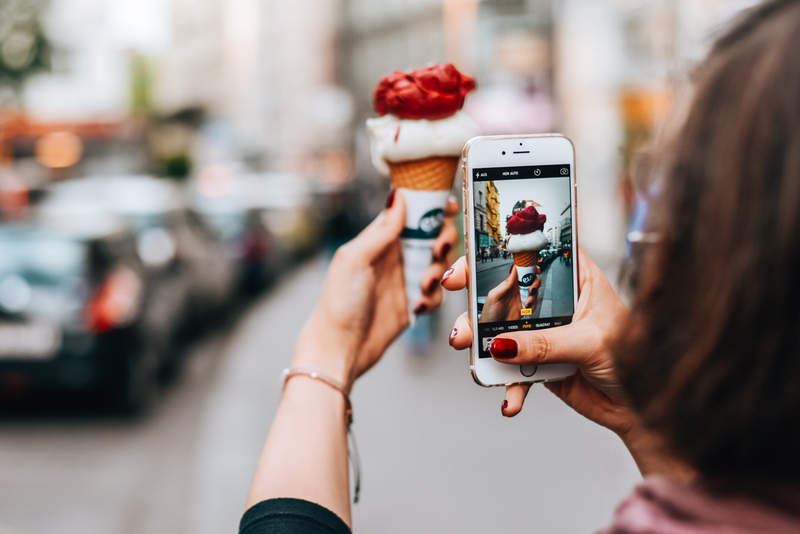 The Eis-Greissler now has three stores in Vienna. 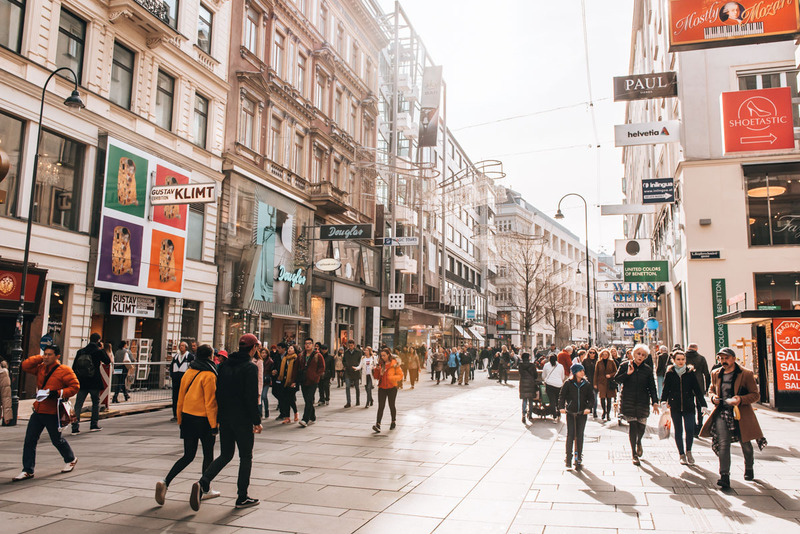 If you are looking for the boutiques of higher priced brands, you will probably find them within the Ringstraße of the 1st District. The three streets: Kärtner Straße (see photo below), Graben and Kohlmarkt, are all within walking distances of each other. The most expensive shops are located on the Kohlmarkt and in the nearby Goldenen Quartier. Here, you will find Chanel, Louis Vuitton & other expensive brands. The most beautiful of the three shopping streets is the Graben, which in our eyes is an attraction in itself. Here you will also find the well-known Golden Pestsäule. Kärntner Straße is the all-rounder in the 1st district, where you can also find cheaper stores such as ‘H & M’ or the more expensive ‘& Other Stories’. The largest shopping street in Vienna is the Mariahilfer Straße. Here you will find the classic combination of all known brands and shops. The Mariahilfer Straße runs from the Westbahnhof station and extends all the way into the 1st District of the city. Our tip: A detour to the side streets is also worthwhile. For example, in Kirchengasse you will find a branch of the chain ‘Kauf dich glücklich’. If we feel like having a good coffee, we always end up in the ‘kaffemik’. The small espresso bar serves excellent coffee. One of the side lanes of Mariahilfer Straße is the Neubaugasse. In Vienna, the Neubaugasse is well-known for finding things outside of the mainstream: for example, there is a FREITAG store here. It would also be worthwhile to check out Kirchengasse or Siebensterngasse whilst you are in the area of Neubaugasse. This area merges seamlessly into the so-called Spittelberg. The Spittelberg is a district with quite a few alternative shops and hipster bars. More information about the Spittelberg can be found above in section 3 of this blog article. Which district should you stay in? Many hotels are located directly in the 1st district (ie. in the Old City of Vienna). Most of them, however, are more expensive. We recommend you to look around the neighbouring districts: the 4th, 5th, 6th or 7th districts are good choices too. Also recommended are parts of the 10th district (Hauptbahnhof) as well as parts of the 2nd and 3rd district. A new, modern hotel, located directly opposite the main train station (Hauptbahnhof). 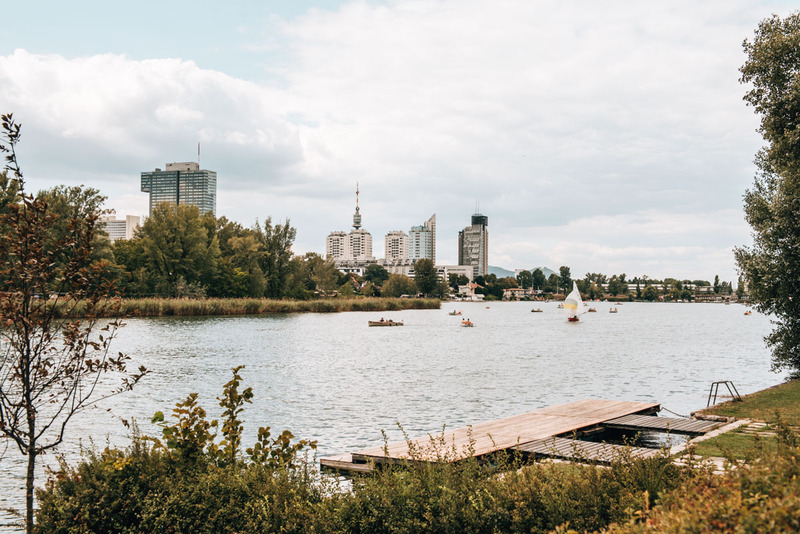 The location is not exactly charming, but the hotel is relatively close to the city centre and with the U1 (at the Hauptbahnhof Station), you are well connected to the public transport system. The hotel is in the form of a skyscraper, which means that: From some rooms, as well as the fitness centre on the 19th floor, you have a great view over Vienna. 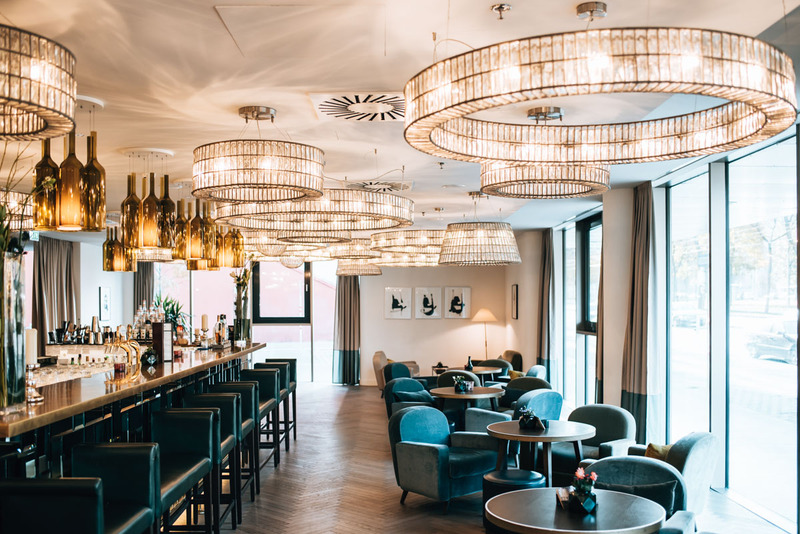 This stylish hotel (formerly Falkensteiner) is located in the 5th district of Vienna on the U4 (Margaretengürtel station). The entire hotel is very tastefully decorated. What we found really nice was the Spa & Wellness area on the top floor. From the rooftop terrace, you also have a nice view of the city, but not as spectacular as the one at Novotel. 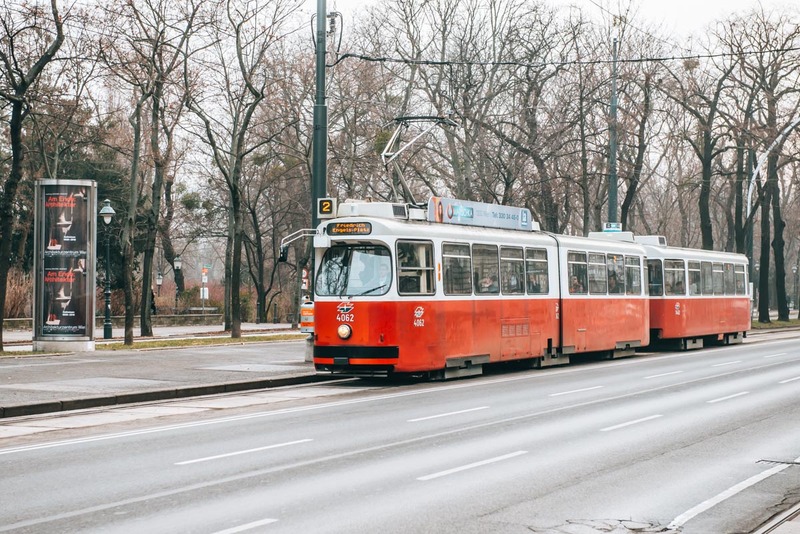 In Vienna, you can get by public transport (we call it: “Öffis”) very quickly from A to B. The most important means of transportation is the U-Bahn (Underground Train). In addition, there is also a large Tram network (called ”Bim” by the locals but also known as “Staßenbahn”) and bus network. There are also numerous S-Bahn trains, which travel to the outskirts of the city. For getting around the city centre, you really only need to familiarise yourself with the U—Bahn network. In total there are 5 subway lines. (FYI: The missing U5 is still in the works.) The U-Bahn Trains in Vienna are very punctual and very reliable. During the day, you usually never have to wait more than 4 minutes for the next train. On weekends, they run all night long (but only every 15 minutes) so people can get home after late-night drinks. There is a route planner on the website of the Wiener Linien, which you can use to plan your route more exactly: Route Planner Vienna. Alternatively: Quando is another very handy and reliable app, which acts as a Route Planner and tells you exactly how long it will take you to reach your destination and even has a map, so you can track your route. Ticket: Which one should I buy? We recommend the 72 hour ticket or the weekly ticket, but of course it depends on how often you travel by public transport. Generally, many sights are within walking distance in the historic Old Town. Another good recommendation is the official Vienna City Card. There is a red card (Wiener Linien) and a white card (Hop-On Hop-Off Buses). We recommend the cheaper red card. This includes free transport by all public transport (Wiener Linien) and numerous discounts on sightseeing. The Vienna City Card offers discounts at over 200 venues (including many sights and restaurants). Most will save you just a few Euros, but considering that the Vienna City Card costs only 12 Euros more than a ticket for the Wiener Linien, then it can quickly make up for itself. 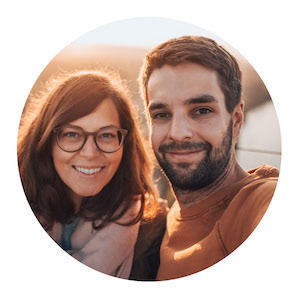 Many non-Austrian German speakers who talk to us for the first time, tend to notice quite quickly that we have a slightly different dialect to those who come from Germany – this would be similar to the difference between British English and Scottish. But in our opinion, we do not speak a heavy dialect of Viennese like many others here. However, we do use certain words which many people are not familiar with. ur = an intensified form of “very” = one of the words we Viennese tend to use rather often. Schau ma mal! = we shall see. You say this when you’re unsure and don’t really want to commit yourself to something. Typical Viennese! Ma wurscht. = I don’t mind. This blog article contains our personal recommendations in the form of so-called affiliate links. If you book or buy something through these links, we will get a small commission. For you, this does not change the price at all. A million thanks from the both of us! Have you ever visited our beautiful city of Vienna? How did you like it? Are there any other places you would recommend? We look forward to reading your comments!